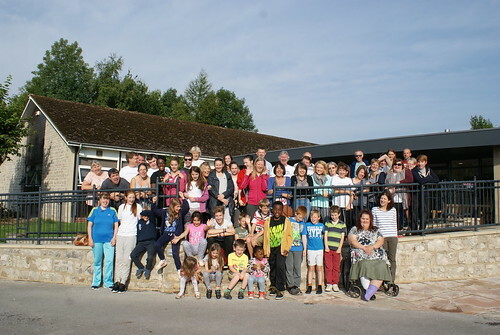 We welcomed 17 families with 28 children to the Hollowford Centre in the Derbyshire Peak District at the end of August, 2015. Eight volunteers participated in the event, helping to make sure families had the support they needed to make the most of activities which included high ropes, weasling and the ever popular raft race. The weekend included a magician who entertained families on Saturday night, and on the final night stories and jokes shared around an open fire. We were all a little nervous coming here as we weren’t sure what to expect, but it has proved to be a weekend we will never forget. It has been a massive education for both of us. [I liked best] seeing the kids push past what they thought they could do and coming out of themselves. Turning I can't do that into I'm next! We have realised we are not alone, that there are other families going through the same difficulties. Also as a family we started to talk about what we had all been through and how to help our son going forward at school and home.